It’s a Friday afternoon in Santiago, Guatemala—a small town with a large indigenous Mayan population on Lake Atitlán. I’m standing on a cleanly swept dirt floor around a long wooden table, watching a group of local women sit and sift through piles of beads before they string them into beautiful multicolored beaded cuffs. I’m here with eleven other Noonday Ambassadors, on a weeklong trip to visit four Artisan partner groups. 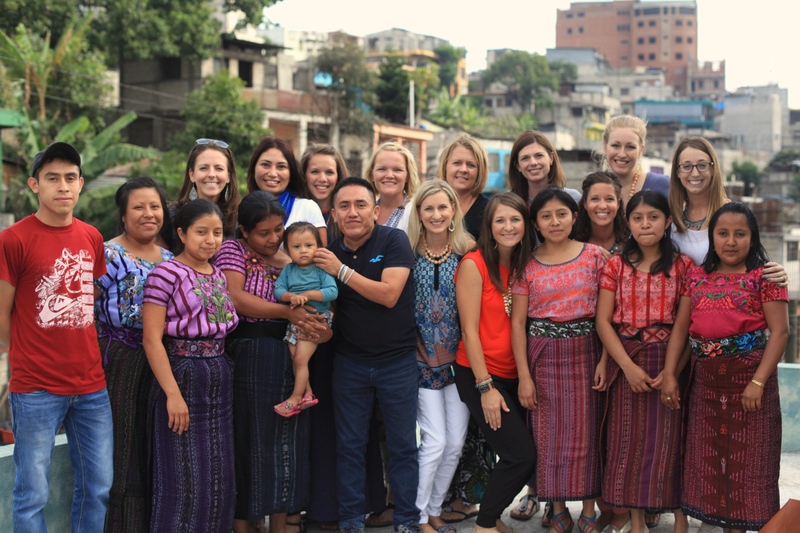 As I look back on our week in Guatemala, what I will be taking away from this experience are the people I got to meet and what I learned from them, especially from the leaders of our Artisan partner groups. I loved seeing the sense of pride she has in her work. She enjoys who she works with, laughing and learning alongside them. She is always trying to improve—from constructing a tin roof over their rear workspace to switching from a wood-burning fire to propane gas to heat their dye (which can be hazardous for their health and also enables them to produce more—and thus earn more). Ana is proud of the work she has created for her community and leads them well. despite the difficult circumstances he went through in his past. 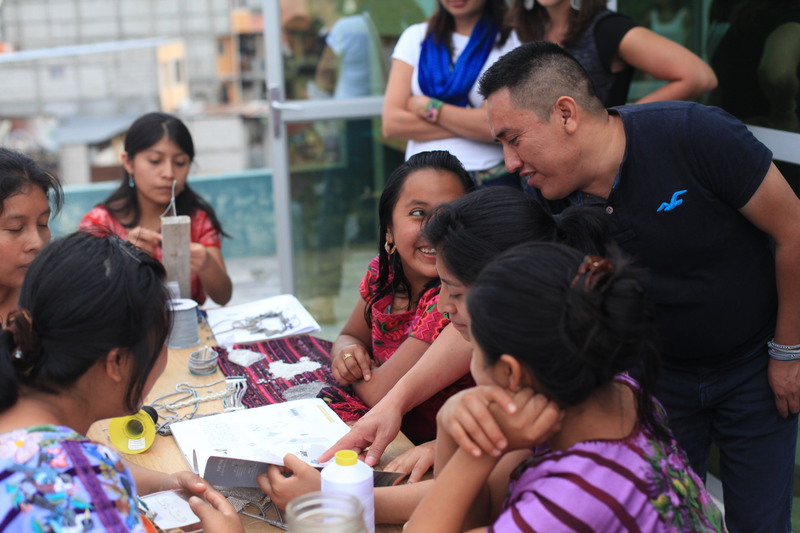 I was so moved by the way he has built a network of teams in his workshop—we met the eight women who each have their own team, allowing them to learn leadership skills, and they even share the various steps involved in the creation of each bracelet. Because of the work they’ve received through Noonday, each of these eight women leaders in Cristobol’s team have been able to open their own personal bank account and he’s also currently training twenty-one additional women to have a trade and soon join his team. He’s looking out for his community and I walked away from our time together inspired to grow even more involved in my own home community. determination to pursue her dreams. She drives four hours one-way every weekend to attend university and is also putting her daughters through school right now. 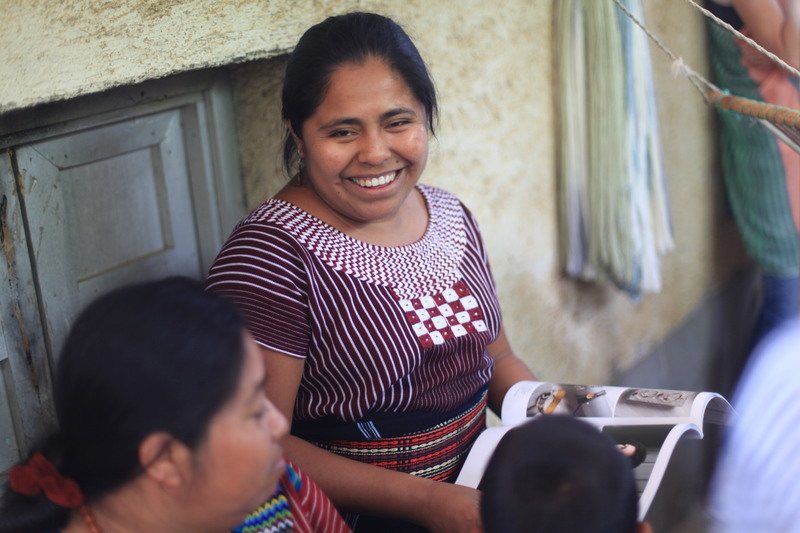 In a community where it’s often typical for a girl to only complete education through sixth grade, Rosario’s determination to see her children and all of her female Artisans complete their education was humbling and inspiring to witness. She said that Ambassador trips always bring her joy and peace. It was amazing to realize our connection was just as meaningful for both of us. or customer, every role is vital and dependent on each other. I am so thankful to now have that perspective. 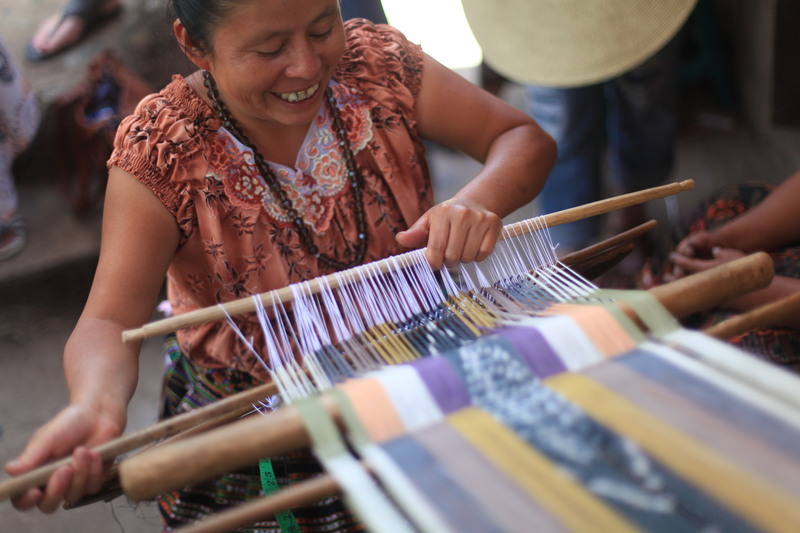 connection with the story of Noonday—all of our individual stories, of Artisans and Ambassadors, woven together across the world.